Thank you for visiting Boiler Services Dublin. We are Dublin's boiler replacement specialists. We have been one of Ireland's leading and largest boiler installation companies for the last 4 decades. If you are considering upgrading and having a boiler replacement or your old boiler has broken down and you need a new boiler installation you are at the right place. About our boiler replacement service. We have been installing boilers for the people of Dublin for the last 40 years. We deal with all makes, models and sizes on the market. Whether it be a domestic or commercial boiler installation you require we can do it for you. We can get the best deals for all boilers on the Irish market. If you are a commercial customer with specialist requirements we can advise and assist you an even import boilers through our extensive channels if they are not readily available in the Irish market place. We are always happy to visit your home or business premises to offer impartial professional advice and give a free no obligation quote. Why choose Boiler Services Dublin for your boiler replacement? Firstly, we only deal with boilers. 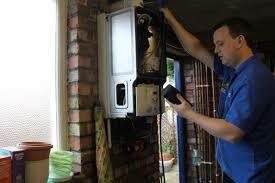 We service, repair and provide replacement boilers with a full boiler installation service. We only employ the most talented and experienced boiler technicians, some have upwards of 35 years within the boiler replacement industry. With this knowledge and know how it means our clients are always in safe hands. 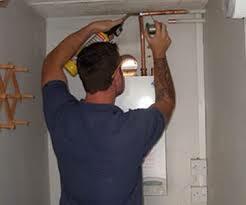 All of our staff are originally fully qualified plumbers by trade who decided to follow the specialist boiler industry. As there have been so many makes and models in the last 4o years this is a niche industry. They are all R.G.I. registered and up to date with all current health and safety legislation. Why employ a jack of all trades when you can employ a master of one? Our reputation for customer service is second to none. Our team are 100% focused on providing the highest quality workmanship and best value for money in the market place. All of our work comes fully guaranteed and we are covered by our comprehensive public and professional indemnity insurance for extra peace of mind. The Boiler Services Dublin fair pricing policy. We are committed to our customers and know that we are as competitive as any company in the county. Our fair pricing policy means there will never be a shocking bill on completion of the work. We quote an upfront price without hidden fees and charges. We don't charge for a call out fee or for traveling time of any sort. There are no extras added such as for sourcing parts, parking fees or anything of such ilk. Our quote is our bond. We only seek payment on completion of the work and then only when the client is fully satisfied with the finished job. This open and honest approach has been the foundation that our company has built it's success on over the years. If you need or are considering a new boiler please call us on 01-8326699. One of our expert boiler technicians will be happy to provide any information you require and offer a free quote.